Combine ingredients in a large salad bowl. Add vinaigrette and toss, or allow each person to add their own dressing. 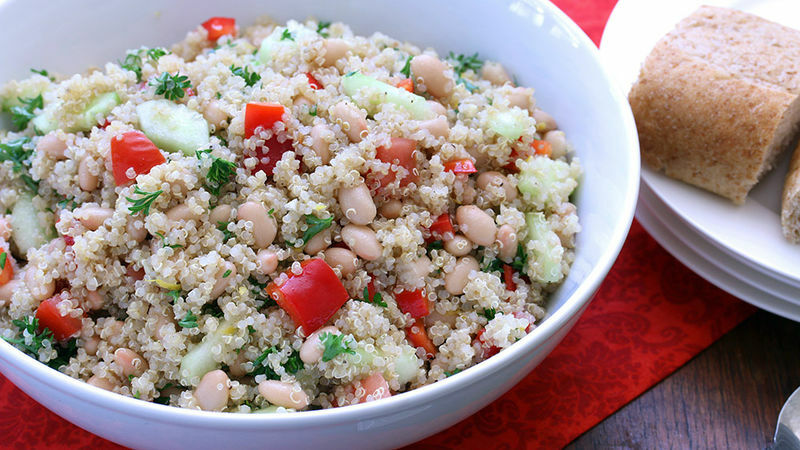 We’ve all heard it before: Quinoa is crazy healthy. Still, here’s the thing. As inanely healthy as quinoa is, it’s not my favorite thing to eat. There, I said it. Try not to be mortally offended. And give me a chance to finish! That said… there are ways of preparing quinoa that not only make eating it tolerable, but actually enjoyable. 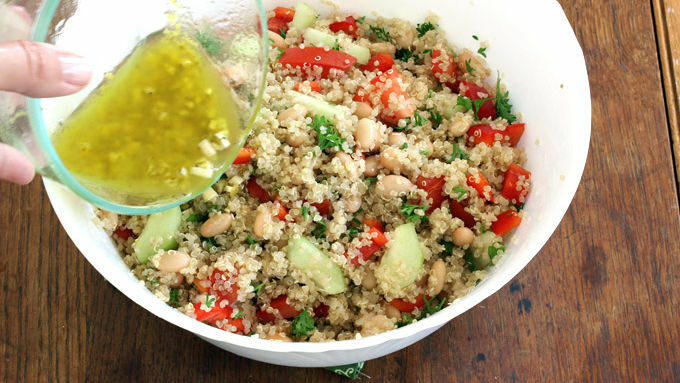 This Garden-Fresh Lemon Quinoa Salad is a great example. It has a lot of great textures happening with the chewy quinoa, crunchy vegetables and soft white beans. Laced with the tangy flavor of lemon in an olive oil and garlic vinaigrette, this is not only an insanely healthy salad, it’s really yummy! Serve for lunch, as a light dinner with some crusty bread or a leafy green salad, or as a side dish for a larger meal.